Choosing retail management courses online is a convenient and an effective way for anyone who wishes to succeed in the thriving retail industry. With a huge number of jobs available in this sector, taking retail management training online can prove to be a great career decision for you. Basic function of a retail manager is to manage a store or department in such a way so as to generate maximum profits with minimum costs. When you join retail management training online, you’ll learn a number of fundamental as well as advanced concepts of retail management that will help you achieve your goals as a successful retail manager. A shrewd retail manager is expert in measuring all important aspects of a business, so that consistent measurable growth can be attained. Pursuing effective retail management courses online will teach you how to use performance data to make better business decisions. This data can be procured from customer conversion rate, customer traffic, suppliers and sales and so on. One of the benefits of retail management training online that the participants will experience almost immediately is their improved ability to make faster, better decisions. They will learn how to place products for maximum sales, and how to reward and encourage employees by considering their performance. Retail management training online also focuses on improving the efficiency of business processes. The processes used to source new inventory, manage relationships with clients and suppliers, and to increase the efficiency of sales counter and so on. These are the areas where businesses need optimum efficiency and retail management training online makes sure that retail mangers will achieve these goals. 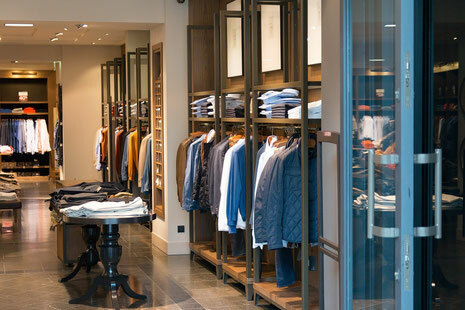 Retail sector is one of the most organized and efficient sectors in Australia today. Recent retail revolution has bought a massive shift not just in big cities, but also in the way businesses work in smaller cities. So, after completing retail management courses online, there will be no dearth of lucrative career opportunities waiting for you. The key is to choose a reliable online training provider to land a job with a great pay package. The Sales Masters is the leading and one of the most trusted online training providers in Australia. Get ready to become a successful retail manager with affordable and effective retail management training online available at The Sales Masters. Visit The Sales Masters today!